Drivers in Great Neck or Glen Cove looking to increase their hauling power on the roads but don’t want to compromise on luxury should consider the 2019 Range Rover Velar. With up to 5,512 pounds towing capacity and plenty of performance technology, towing will be a breeze. 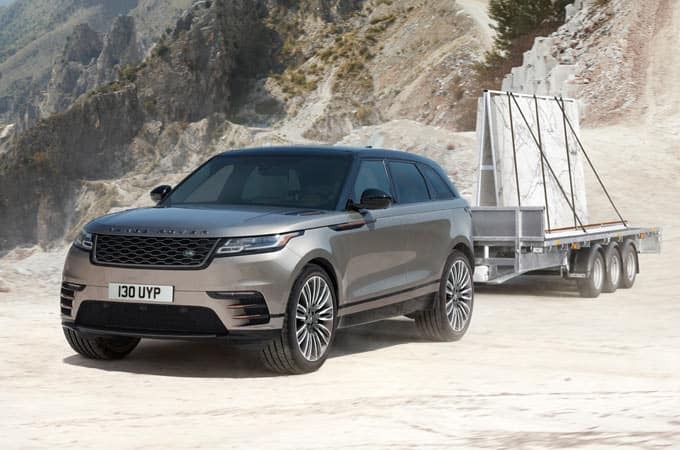 Learn more below, then browse our inventory to find a Range Rover Velar for sale at Land Rover Freeport. Intelligent Driveline Dynamics continually monitors conditions to make sure the ideal amount of torque is distributed to the wheels to prevent or correct the loss of traction. When you are ready to see this Land Rover SUV in action contact us for a test drive at Land Rover Freeport nearHuntington. You can also explore features like the Land Rover Touch Pro Duo infotainment system or compare the Range Rover Velar vs. Mercedes-Benz GLC to learn more.